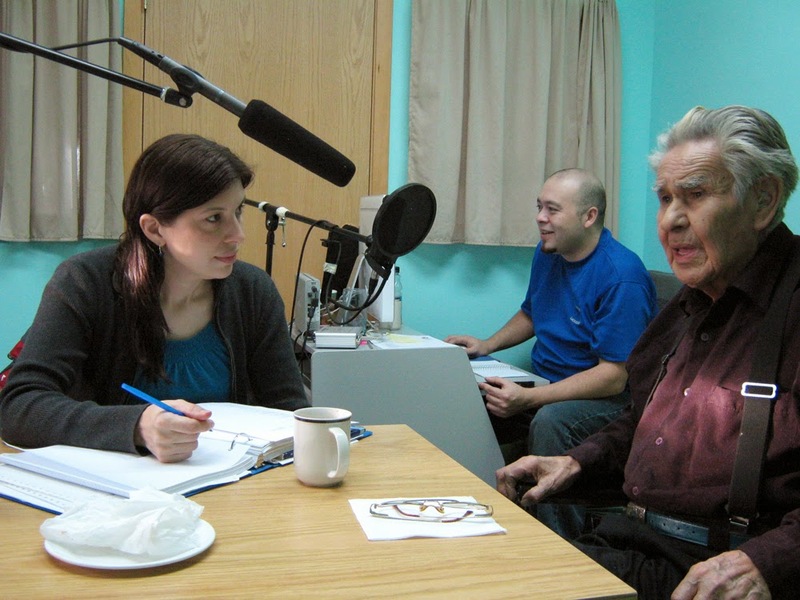 We were very fortunate to be working with the XaadKihlgaa Hi Suu.u Society (Speak Haida Society) and with Lucille Bell to help with the translations for the six films. With help from Gwaii Trust Society, we were able to work with language experts for four days. 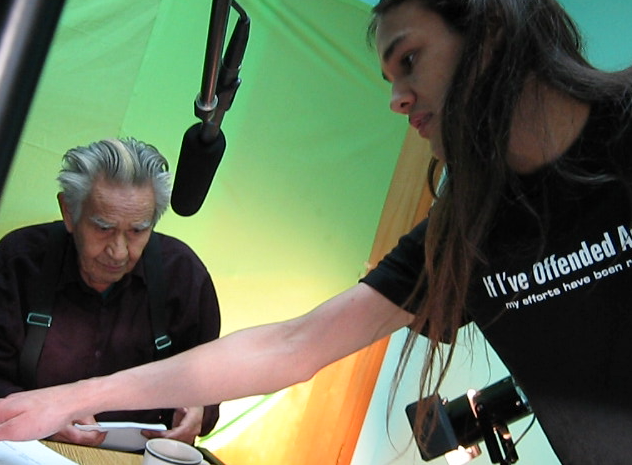 Elder Ts’inni Steven Brown meticulously translated and narrated all 6 pieces and even starred in two of the films! With the help of Lisa White, Jordon Seward and Primrose ‘Bipsy’ Adams, we were able to have simultaneous transcription take place for eventual Haida subtitles of the films. The translations and recordings live on within the community AND within the films!